Ever want to have a closer look at the 'holo posters' that appear in various offices in the Gemini Sector? Thanks to the discovery of the original textures, you can--there are some truly bizarre jokes in there that no one could ever have seen. Privateer features four Kilrathi ships, all of which are versions of ships created for other games: the Gothri, Drathi, Kamekh and Salthi (in Righteous Fire). But what if there were a fifth ship? It almost happened! 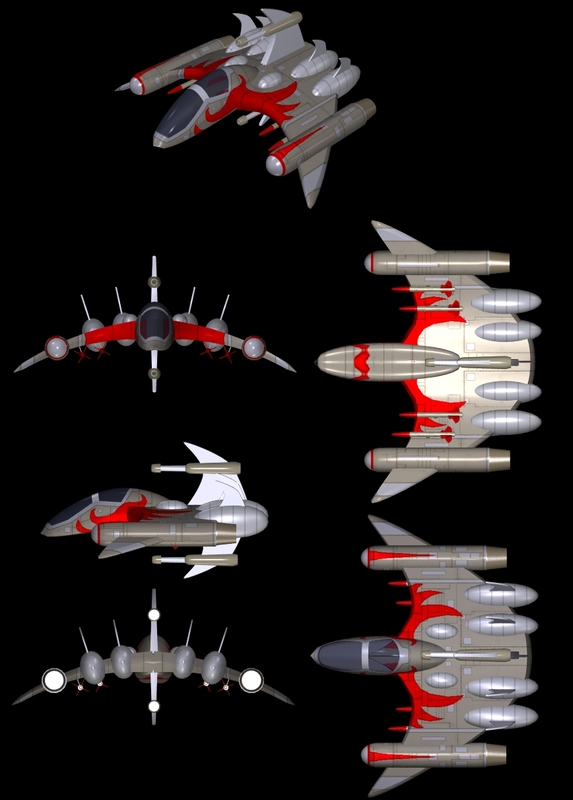 The art team also created a Privateer version of the Strakha stealth fighter--but cloaking devices were removed from the game, rendering its inclusion impossible. Here is what it would have looked like? If you're heading to the Gemini Sector this weekend, you can expect to encounter a LOT of Talons--they're flown by the militia, the pirates and the Church of Man ("Retros"). 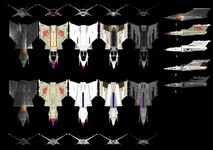 But did you know that each type of Talon actually has a different paint scheme in the game? Look carefully and you'll see it! 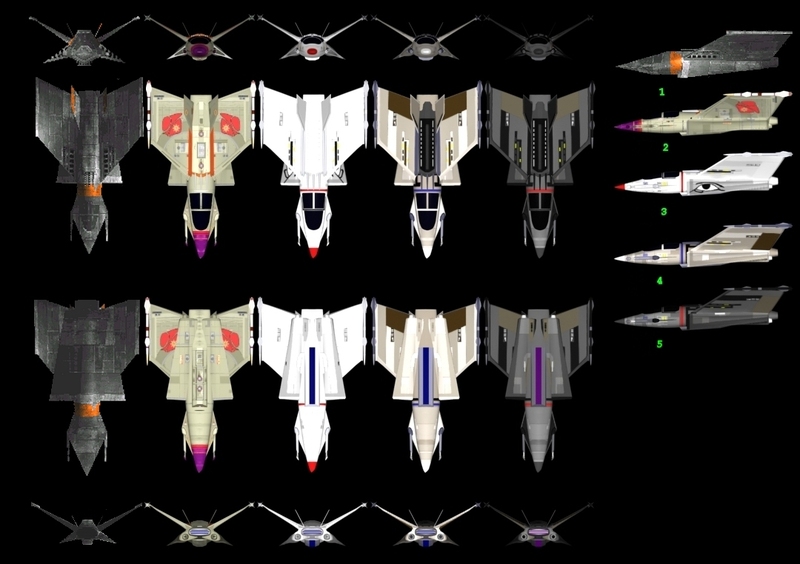 Here's a handy chart to help you pick them out (also pictured are the SWC Gratha and the Privateer 2 Talon). 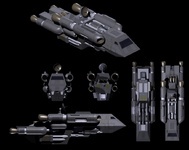 Privateer's four ship options are loved by fans everywhere, even the cheaper choices (internally, the game calls the Tarsus the 'clunker' and the Orion 'tug'--so they knew what they were doing)... but did you know there was originally going to be a fifth "speeder" ship? Here's a design sketch! Want to get a REALLY close look at the world of Privateer? 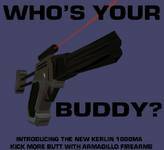 You can, if you have a 3D rendering tool! Download this massive archive of 3D models used in the production of the game--ships, weapons, environments, it's all there... and incredibly detailed. Every 3D model was created with high resolution graphics and then reduced to a small bitmap for the game itself.